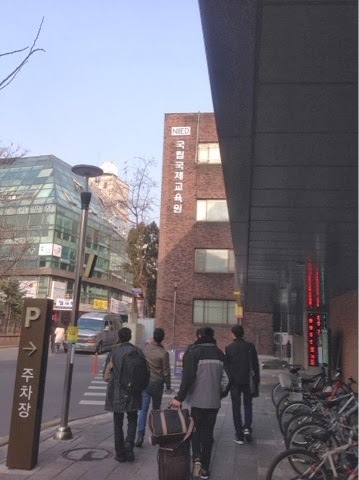 These 3 days are spent at NIIED, Seoul. The dorms are pretty amazing and we have a common toilet. (Guys and Girls are separate). It's pretty nice to get to have seniors bring us around and lead us since they know what we'll be going through in the next 5 years ahead of us. I didnn't take any photos of the dorm... We were more interested in getting some Wi-fi to contact our families and friends. I'm glad that I've started to make some friends and they turn out to be really good. Indeed each activity or event has their ups and downs as you start to get to know people and you find out who you can work with and who you can't. For me I'm a person who is really picky about friends and I thank God for making good choices. The orientation was pretty awesome. 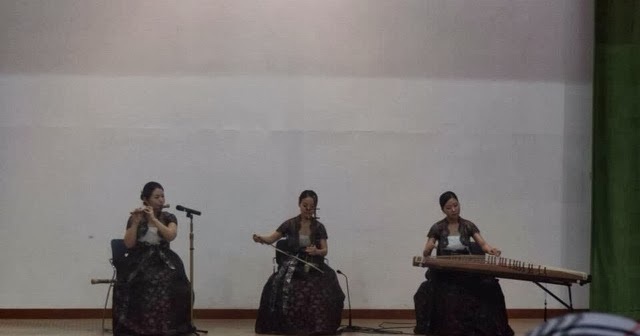 We started off with some traditional Korean performances, one called the Dahong (다홍) - a fusion Korean traditional music group consisting of 4 female members. The members all take different parts in Korean traditional instruments called Gayageum (가야금), Daegeum (대금), Haegeum (해금) and Pansori (판소리). It's a wind instrument, 2 string instruments and a vocal. Next we had a Buchae-chum (부채춤) which is a traditional Korean dance that has been developed under influence of traditional Joseon Dynasty court performance. 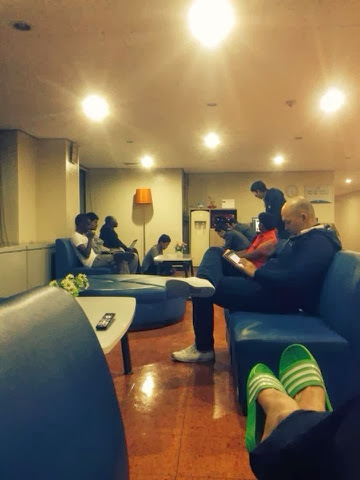 Many Koreans use this dance during many celebrations. The dancers use large fans painted with pink peony blossoms and display a show of dance. They represent shaped images using the fans ie, birds, flowers, butterflies and waves. They wear brightly colored hanboks, the Korean traditional dress. We also had different lectures given by professors of universities to help us in our integration into Korean society. 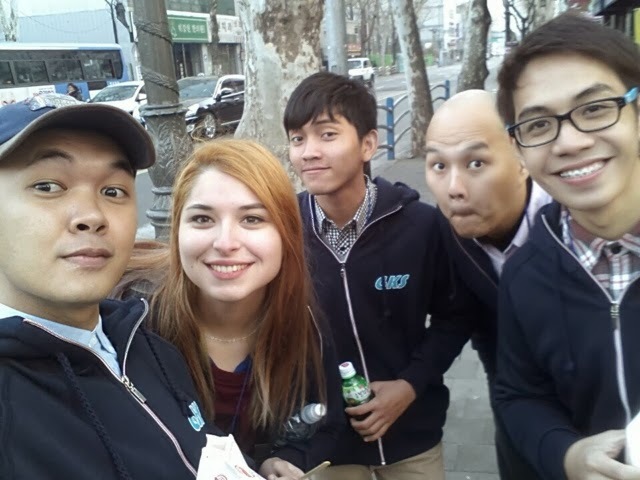 There were pretty insightful things about the history and culture, enjoying Korea as a foreign student and a survival guide. 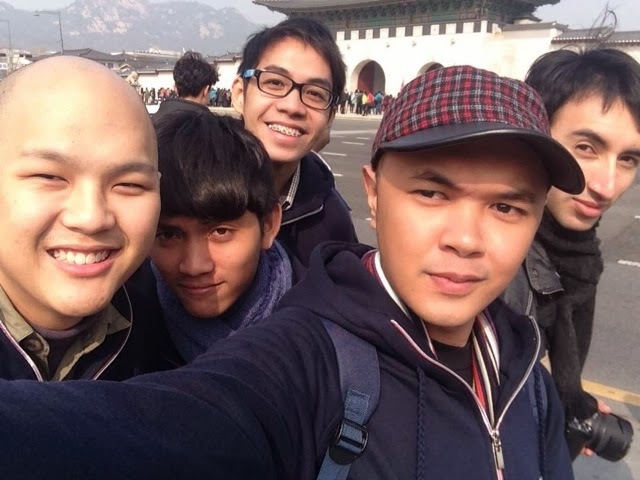 All in all it was quite an experience, considering the fact that the orientation helped all of us bond together as a language university rather than the social groups that we have broken into. It was quite enriching and I got to meet many people from all around the world. You can never have too many friends, right? 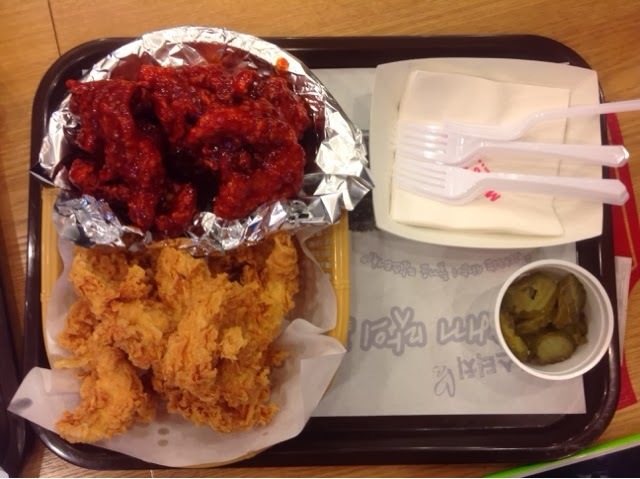 When we got back to Sunmoon University, we went for dinner at Mom's Touch - Korean CHICKEN. 20 pieces of glorious awesomeness all for the price of 15000₩! 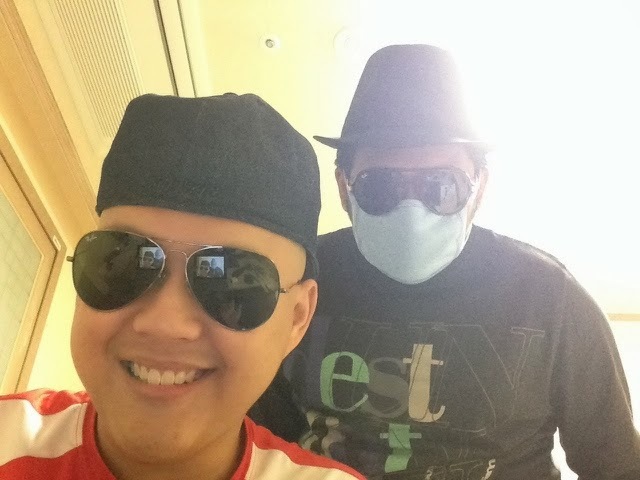 Oh yeah, my roommate, Sakib and I say hi!